Jimmy gives crochet hat instructions and how he began to love fiber arts. 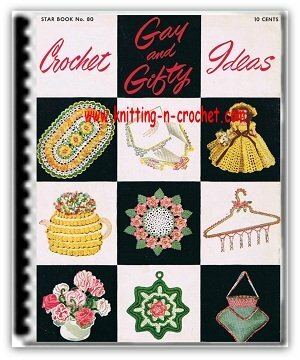 He shares how his mother taught him to create and love crochet. 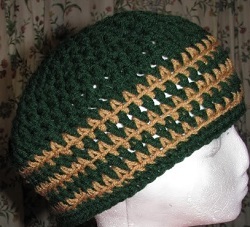 Jimmy also includes an easy crochet ski hat or skull cap pattern for you. I always wanted to learn to crochet. Never mind that it was not a guy thing to learn. My grandmother and aunt were both crochet masters. I would watch their hands maneuver their crochet hooks as the growing project of the day appeared as they worked, like magic. They made intricate tablecloths, bedspreads, doilies and various articles of clothing. For the tablecloths, bedspreads and doilies, they used fine thread and the results were breathtakingly beautiful. For the clothing, they usually used heavier, warmer type yarns so the clothing would be serviceable and not just pretty. 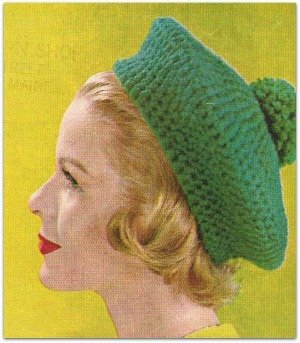 When I was about 12 years old I took some money from my allowance and bought a magazine that had crochet hat instructions inside. 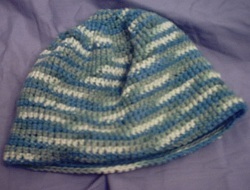 The hat was a toboggan that I could (at least theoretically) create in a “manly” color and wear in the coming winter. I brought my crochet hat instructions to my grandmother and asked her to teach me to crochet so I could make the hat. Imagine my distress when she explained that there are many steps to learning to crochet. She reassured me a little when she checked out the number of different stitches I would have to know to create my hat, and said, "Well Jimmy, you picked a good pattern to start with. The crochet hat instructions only have two different stitches involved." "But first things first," she added. 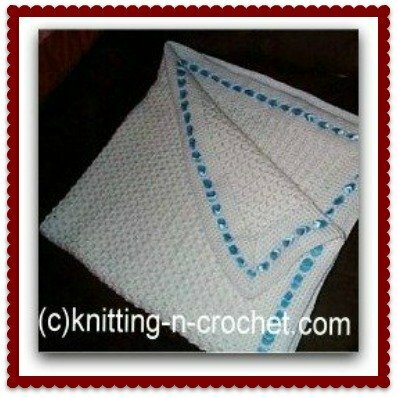 "First you will need to learn to make a chain stitch; the other stitches will be worked into the chain." With that she started to guide my hands on precisely how to hold the yarn in the fingers of one hand and the crochet hook in the other. She was patient and kind, and naturally I was very clumsy. Soon though, that chain started to take shape just like in the magic I saw her create. "Grandma," I inquired, "Why are some of my chain links so big and some so little?" She explained, that is where practice and patience come in. “You will have to practice making chains for a time, until you master the skill of holding the yarn equally tight for every stitch ." She held up the item she was working on and showed me that when you hold the yarn with the right amount of tautness and do that consistently, every stitch comes out the same size. "There is not any shortcut," she explained. The only way to accomplish this is practice, practice, practice." Within a week or so I had mastered a chain with fairly uniform links and she proclaimed me ready to learn the other stitch required in the crochet hat instructions, the single-crochet stitch. I found it much easier and quicker to master this second stitch because my hands were becoming somewhat more comfortable holding the yarn and the hook. Before long, I was able to start to create my hat. With a lot of patience (especially on her part) and raveling out and re-doing, my olive drab winter ski hat was ready for the first sledding day of winter. 6 – Dc in next 28 dc, inc in next dc, inc in next dc, mark this spot for center back, with a piece of contrasting yarn, inc in next dc, dc in remaining 10 dc. Next 6 rounds: Increasing 1 dc before and after center back marker, dc in each dc around (54 dc on last rnd; than sl st in next dc. Ch 1 turn. Dc in next 17 dc, inc in each of the next 2 dc, dc in the next 17 dc, sl st in next dc. Do not work over remaining st. Ch 1 turn. Last rnd: Sl st in each st around Join to first sl st. Break off and fasten.